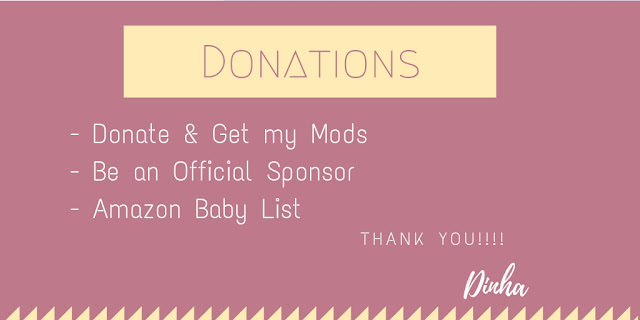 🍭 Donate option available here in the blog (Check the left side of the Blog). At the end of the transaction, do not close the window. You will be redirected to download my folder mods. It was the way I found to thank you and at the same time to return the affection because I know how much you like my folder Mods. (If there is a problem with the download, please send me an email dinha.gamer1@gmail.com). The objects are different in both folders. Please don`t install all at once in your game, both folders have almost 20GB of CC. We thank you from the bottom of our hearts. Thank you so much for your love and support.